I just finished deploying some new HP 3PAR StoreServ 7200 systems within my customers environment. Off course I wanted to add these nice systems in our SIM environment. However, it does not seems to be supported/enabled by default. Minor: This system does not have any SMI-S CIMOMs installed. No storage systems will be found on this system. Minor: The Central Management System (CMS) cannot communicate with the CIMOM locally installed on the managed system using the WBEM protocol, Identification will try to identify Windows systems using the WMI Mapper as proxy; for Linux and HP-UX systems, check credentials by going to Options->Security->Credentials->System Credentials. For Linux systems also check if the HP WBEM provider is installed. This is because by default the CIM service is not running on the HP 3PAR StoreServ’s. 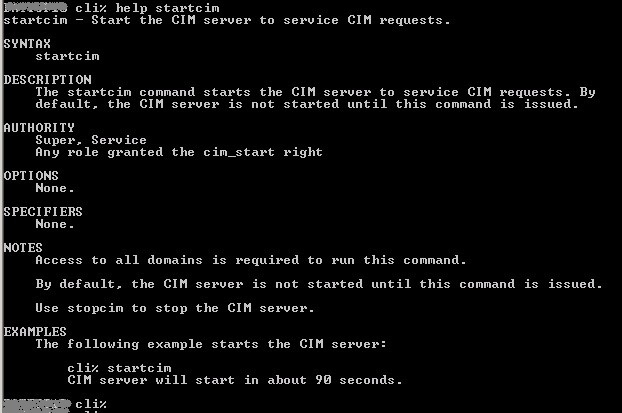 You can check this with the command SHOWCIM in the 3PAR CLI. By using SHOWCIM again you can verify that the service is now correctly running. Now retry your discoverin inside HP SIM. You will see that the CIMOM discovery is now working like it should be. Normal: This system has WBEM protocol support. Normal: This system has at least one SMI-S CIMOM installed to serve as the storage proxy to discover storage systems. Normal: This system has a server CIMOM installed. HP Insight software 7.1 released!